There are 145 posts in this topic. You are on page 1 of 3. This project has been a long time coming, but it's finally starting to come together. It's not quite ready for prime time yet, but if I could get a tester with a Capcom machine, I have a kit ready. First, here's some video of it in action. Here's what the new board looks like. 1. I have already modified the design slightly so that it mounts in the backbox more nicely. 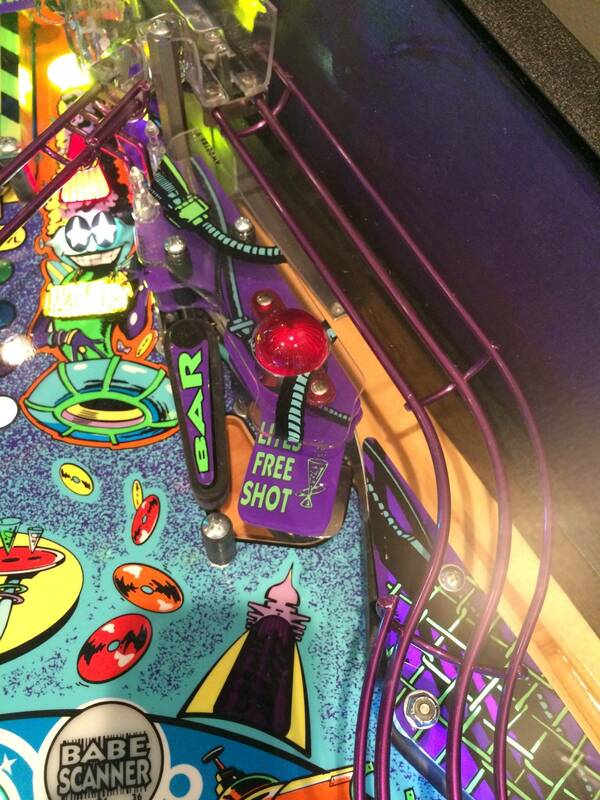 This one, you should be able to mount one of the holes using a screw into the standoffs in the backbox. The final version will line up with more screws, so it will mount more solidly. 2. This one, I have built by hand, so it's not quite as clean as a machine built board. 3. I don't have enough Z-connectors, and the place I buy them is out of stock. I do, however, have a bunch of leftover pieces that should be enough to put a set together. They won't look as nice as a production kit, though. The cables are production quality, however. 4. It is possible that there could be bugs in the firmware that would cause some incorrect blinking. If so, it would require shipping back to me to update with any fixes. I would offer this kit at a discount, but I'd still like to get $200 for it. Production kits will probably be closer to $300. If it turns out to not work as expected, I will fully refund the purchase. I would also ask that you report any issues you find. It would be great if you could get some pictures and video as well, but not strictly necessary. I think I have a volunteer now. Thanks. This is awesome herg. 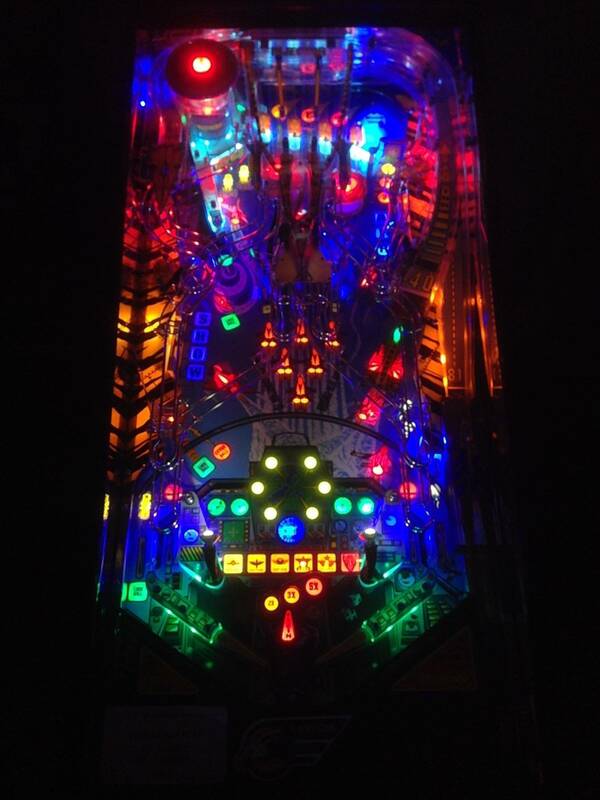 Trying to play a Pinball Magic with LEDs is one of the saddest pinball experiences I've ever had. Jason's Breakshot will finally be able to join the LED revolution. 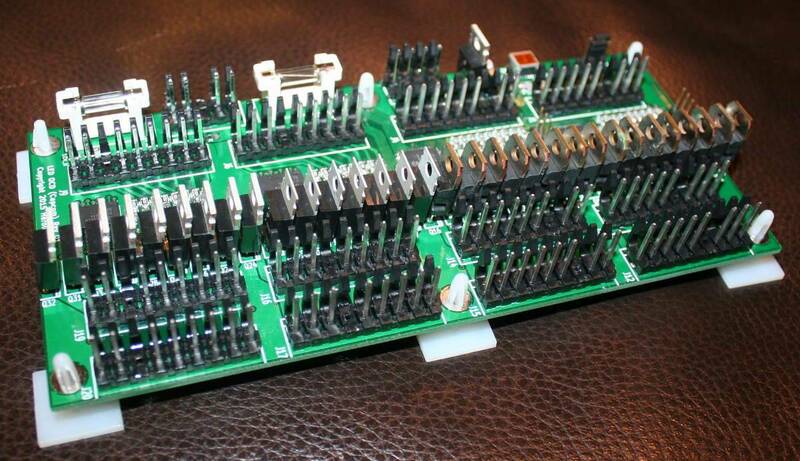 Dumb question, will the Williams OCD board work with EATPM (Bally)? Actually, not yet. This one is for the Capcom machines with two matrices, which does not include Breakshot. Once I get this under control, I'll work with him to see what we can do. Yeah, with the Sys11 cables. How does it LOOK in person? Looks a little flakey still in the after. I really don't know since I haven't seen it in person. That's part of the reason I need a tester. I would love to have one when They are ready!!!! Can't wait to try this in our PM, put LED's in it once & took them right back out due to the strobing. That's a big improvement... nice work! I would have loved to test it for you, but I literally just sold my Airborne this weekend. For anyone who volunteered, but doesn't get contacted, please don't feel slighted. 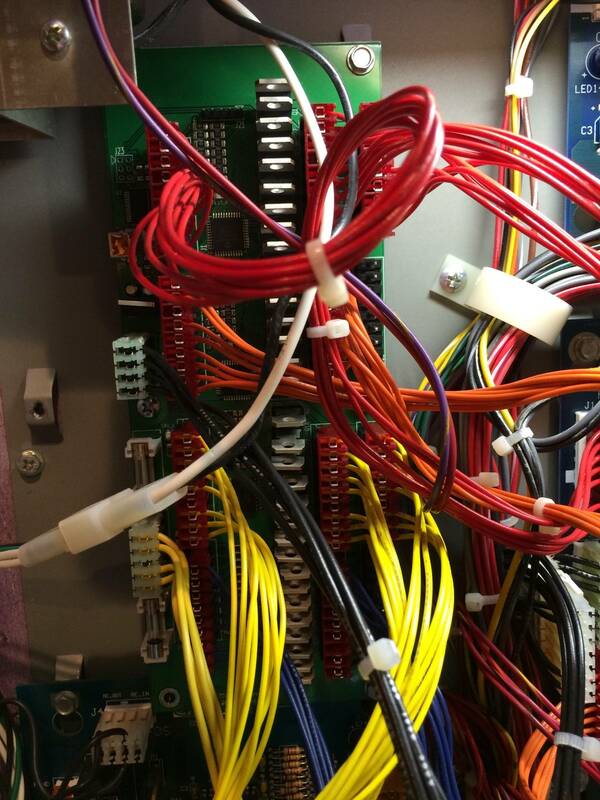 I tried to pick someone who is comfortable mucking around in a machine and debugging issues. I think this is past that point, but it's still development. Hopefully, the final version will be ready for the rest of you soon. It does look much better with the board, but would really need a video of a non-led pm for comparison. It still looks like you are trading the advanced fade effects for the brighter/cleaner color pallet that comes with led. Here's the problem with Capcom games. If you have them in a lineup where every other game has LEDs, they just look so drab. If this board slightly diminishes the fading effects but allows one to use LEDs without all the ghosting and strobing, that's a tradeoff that's well worth it in my eyes. would really need a video of a non-led pm for comparison. Here's video of it with incandescents. I will agree that in the video, there is more fading evident with the incandescents, but remember, LED OCD allows you to set the speed of the fading as well as the shape of the brightness ramp of every lamp, and it may simply need tweaked to fade faster. That's one of the downsides to not having a machine myself to develop this in; I haven't been able to try this stuff myself, nor see it with my own eyes. It's not my video. I am simply sharing the video that was sent to me by one of the original testers. 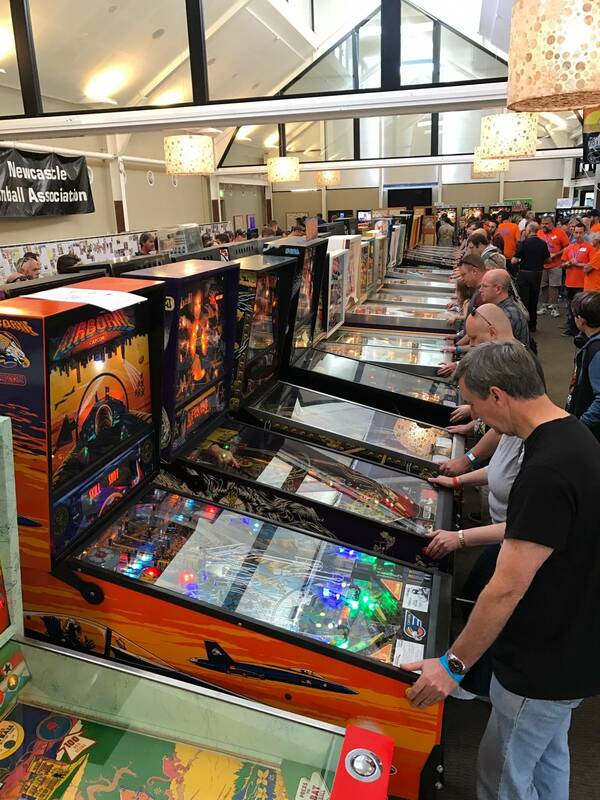 I just had Metro Pinball in Okc install LED kits from Cointaker in my Breakshot and Pinball Magic. 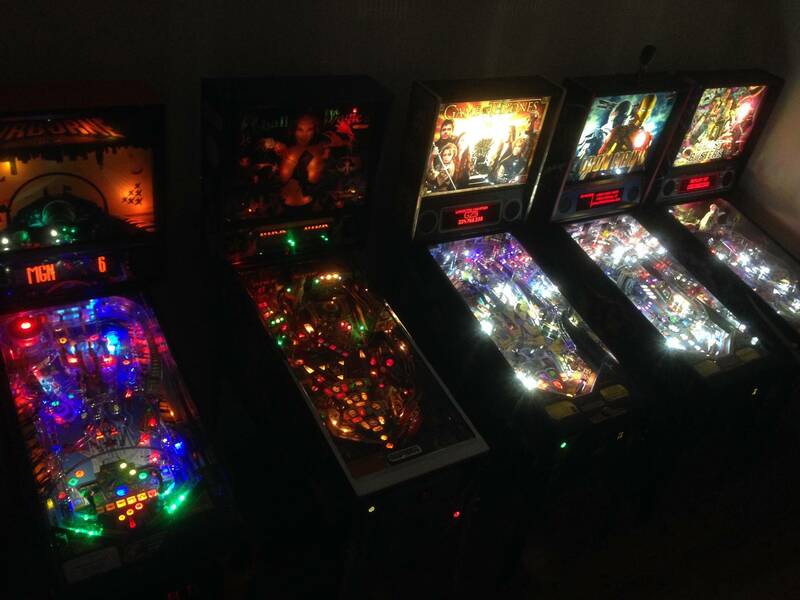 All worked great except for the flashers in the Pinball Magic. 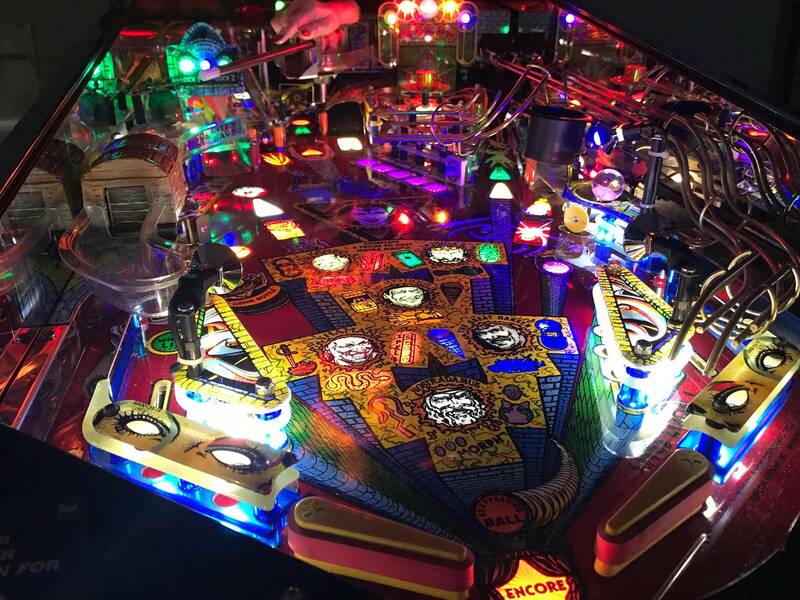 We removed the LED flashers from the playfield & backbox due to constant strobing at low intensity and put the incandescents back in. Otherwise, looks/works great. No, I saw Herg take that video with his Zune. The prototype has been sent to a tester. He hasn't told me whether he has installed it or when he plans to. Once I get results from him, I will decide whether to move forward. Since I am not confident about how much demand there will really be for these, I will likely have a small batch of boards made and hand build cables to reduce risk. 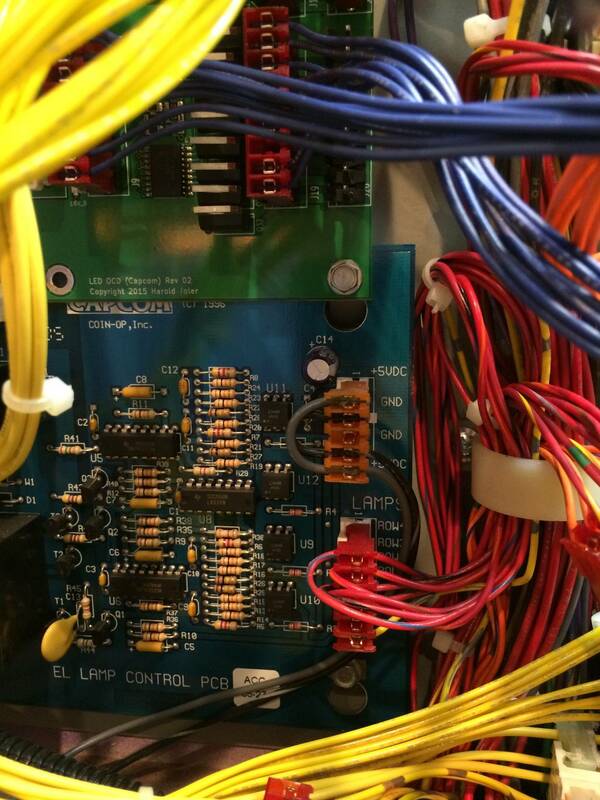 If I have the cables outsourced, they actually cost more than the board. If anyone is willing to take a couple of measurements, it would be helpful to confirm the standoff spacing. I have had one person measure them for me, but if possible, I'd really like to get a second set just to make sure before I order a bunch of boards. 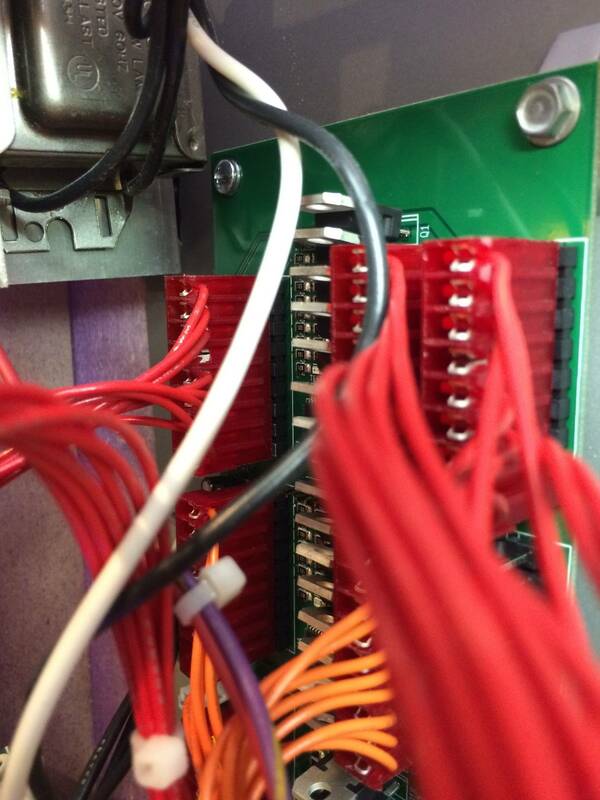 On the left side of the driver board, there are standoffs stamped into the metal. I need to know the horizontal and vertical spacing of those, along with the thread size. I wish I owned a Capcom... I'd be absolutely willing to help you out with whatever you needed. Seems like this solves the #1 complaint with Capcoms, so I'm surprised owners aren't chomping at the bit to assist. I'll take some measurements for you later today. Some really good news has come from the prototype testing. 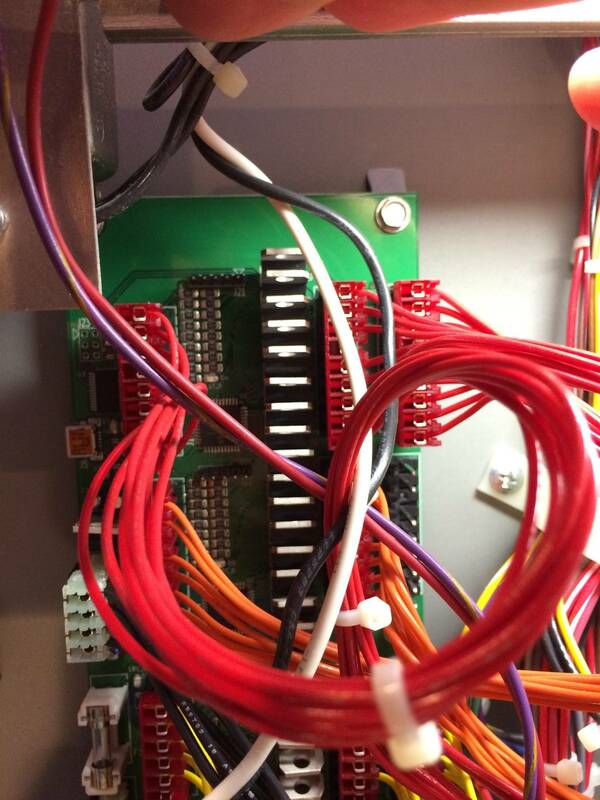 The combined board design seems to be working properly. He reports that everything is smooth, and he would like one for his other game. I really wish I could nitpick it in person, be this seems to be a decent compromise. For installation in Pinball Magic, the extension cables weren't needed, so I'll be able to leave those out of the kits (for that game at least) and drop the price. This hopefully applies to Airborne as well. BBB will almost certainly need at least some of the extensions, though. Jgaltr56 confirmed the measurements for me. Thanks. My plans are to order boards some time next week. How's it coming along herg? Things have been busy, so I haven't ordered them yet. I'm planning to on Monday. That should mean they'll be ready early January. Very nice!! Looking forward to this for my PM. I don't have LEDs in my PM yet because of known issues. 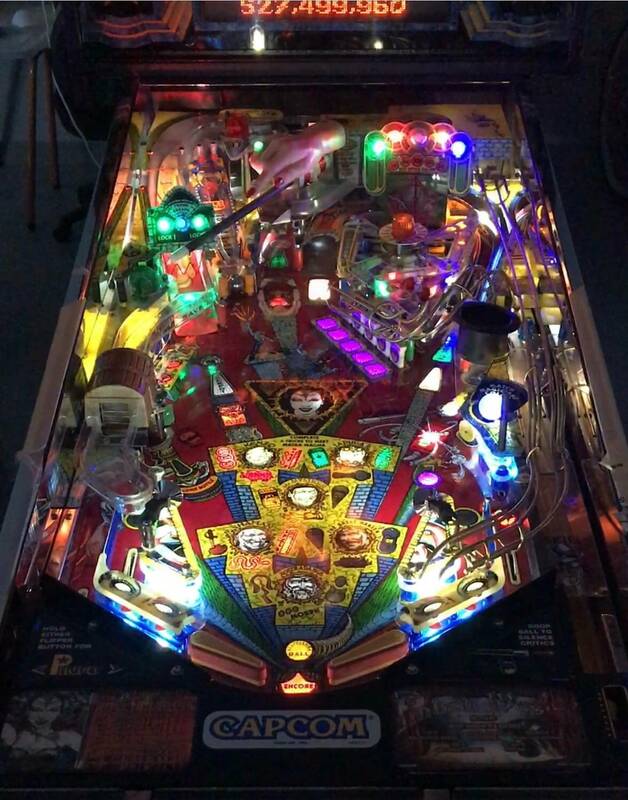 I put the LED OCD board in my POTC and it works awesome! 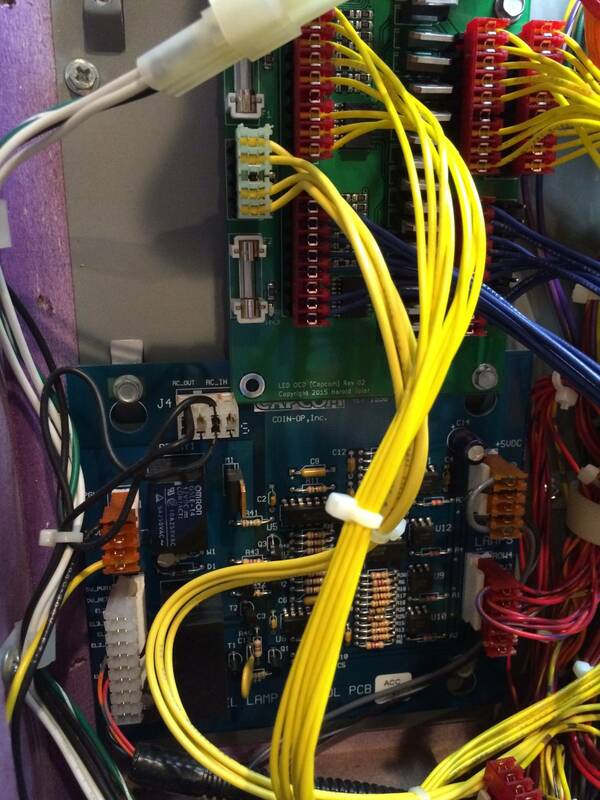 That's a pretty elaborate board. We appreciate all your hard work developing these products. Boards are coming in tomorrow, and the cable kits are all packaged and ready to go. There are three beta kits in people's machines, and two of them appear to be completely happy. One of those is having a few lamps that occasionally blink when they shouldn't. I'm forced to choose between holding these until I can work through the remaining bugs or to offer them for sale with the understanding that I would provide updates to anyone who had issues like the "blinking" board. Do any potential buyers have opinions on this? Getting more into people's machines would likely help me since I'd have more information about how they're working. I do have a bit of a long shot request. I am coming to the conclusion that the long distance software development isn't going to get this to 100%. As it is now, I have to make changes to the firmware, mail chips to a tester, then rely on them to report back any issues. Since some of these issues are so minor that only I would notice them, I don't think they're all getting caught. That, plus the turnaround time is just too long. I need direct access to a machine. 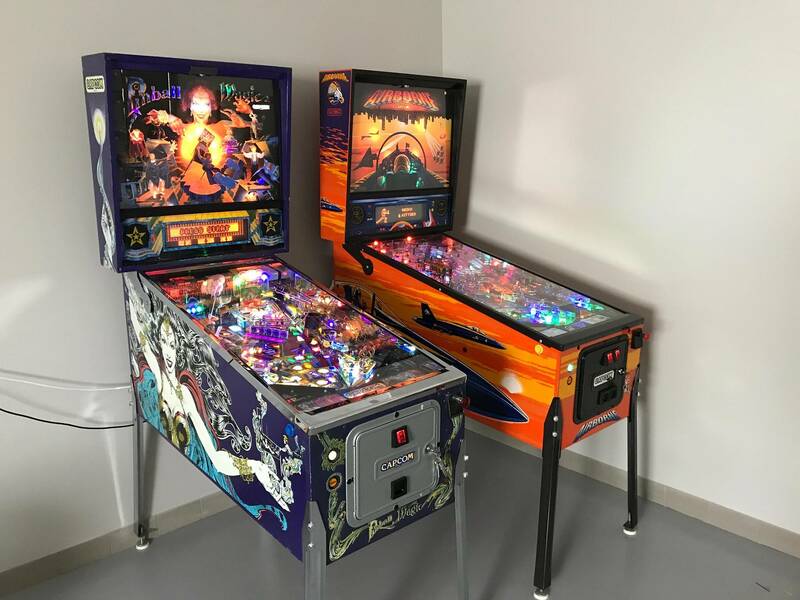 If anyone local has a Pinball Magic, an Airborne, or a Big Bang Bar and is willing to let me spend a day with their game, putting the final touches on the firmware, I'll offer a kit for half price. If anyone is willing to park one of these games in my gameroom or garage for about a month, I'll offer a kit for free. I might also consider a temporary game trade if anyone's interested. Wish I was closer but I don't mind helping out from here if I can. Yeah, about 30 minutes west of DC. 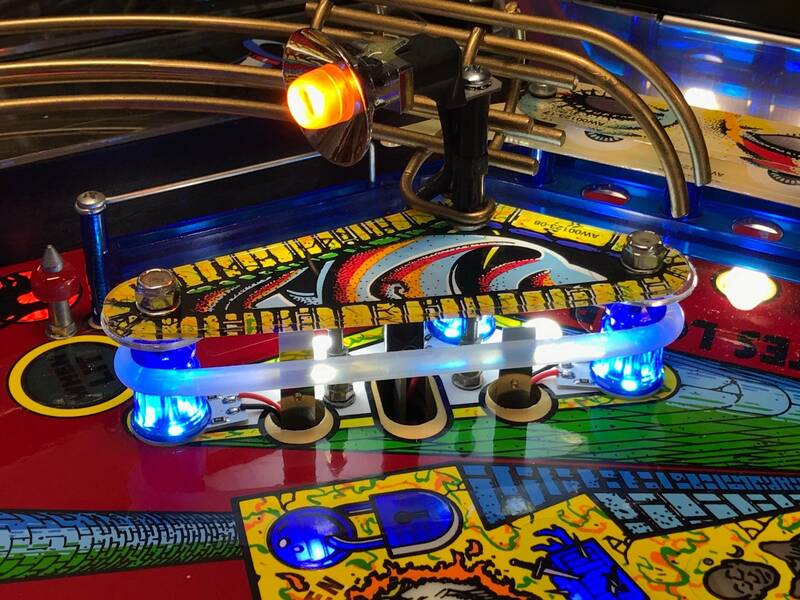 Does Flippers put LEDs in their games? I have my Airbourne at Volleyball House in Elkridge, MD for FSPA league play. If I can help in anyway, let me know. My PM is very happy. My AB will be as soon as it's available. I've been there once, before I knew the arrangement, and I actually ended up leaving without playing anything. How realistic would it be to install a board and LEDs, change settings using a laptop, maybe some minor firmware changes on the spot, possibly even hooking up an oscilloscope to take some measurements? That sounds like it would be a bit beyond what we'd want to do there. That's great to hear that you're still happy with it. That makes me a good bit more confident that it's worth getting a few more of these out there. If the one with issues is an isolated problem, I would hate to hold all the others back because of it. Anyone know how much for a kit for pm? Or maybe I should backread thread. I can and sry if its in the history. Estimated pricing is on the website here. I still need to go though my purchases to figure out how much I spent on them to be able to set actual pricing, but if anything the actual would be lower than the $249 estimate. IMO, it seems high, but since Capcom uses two lamp matrices (no separate GI), it covers everything except the flashers. if you lived near me, I would have just let you borrow my machine. I did the math last night, and if this first batch sells out, I will almost be back in the black on the project. Unfortunately, it is going to end up costing me even more time. I received the boards yesterday, and they work fine (in bench tests) other than the indicator LEDs being installed backward. I'll either have to flip them all by hand (and they're small surface mount parts in tight spaces), or offer a discount to anyone who doesn't care if the indicator LEDs don't work. I really do appreciate the sentiment, even though it doesn't logistically work for us. Thanks. I'm shipping a few of these today, including yours, and I'll be anxiously looking for feedback. If these install and work without issues, I'll feel comfortable enough to make the rest of them available. The Engineer in me wants to hold them until I know they're perfect, but who knows when that will be? Just remember to be kind if any issues do arise. Please place me on the list for one on a pm. I just found out recently about the project and did not sign up earlier. Please place me on the list for one on a pm. The best way to make sure I don't miss you is to sign up for notifications via my website. When I'm ready to post the rest of them, I will send an email to everyone on the notification list so that everyone has a fair shot at them. On the page linked below, click on the green check mark. 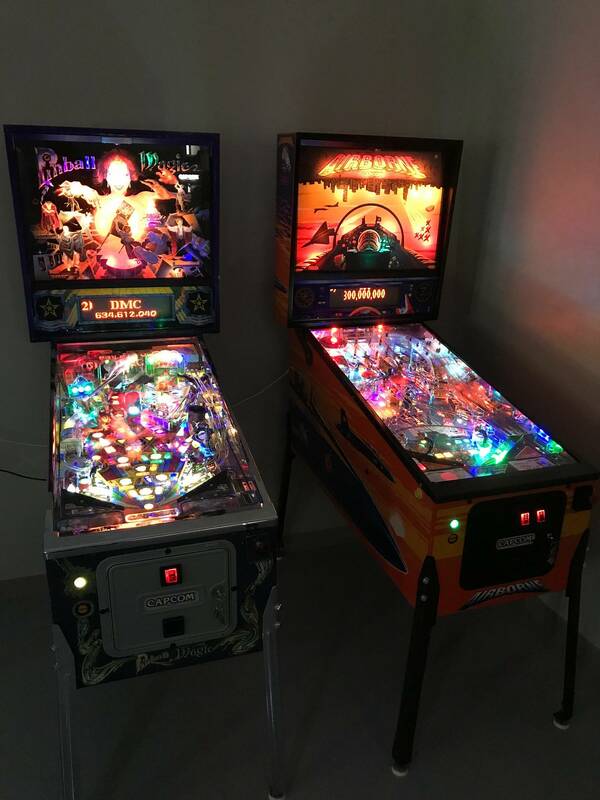 Finally finished the install in Pinball Magic. Here's a link to an attract mode video I made. I haven't changed the default settings yet, but I think it looks great. I noticed a little ghosting during gameplay from the Comet 1 LED retros I used for trunk escape, lock 1, lock 2 above the left ramp and the box office values above the stage. Maybe some non-ghosting LEDs will help ? I chose those bulbs because they look nice and they are exposed. Anyone have a better/different OCD config they want to share?